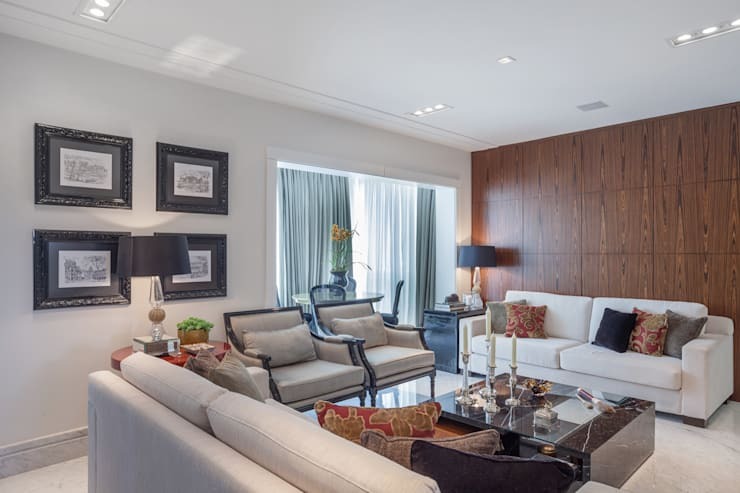 The modern apartment we visit today has elegant illumination, contemporary features and interesting detail, making it a comfortable living space for a young family. It's a spacious environment that enjoys the artistic and creative from all perspectives. Each room has been perfectly planned with entertainment, socialising and gorgeous lighting in mind. The interior designers opted for some quirky and edgy design elements to make this living space unique and attractive. So without further ado, let's explore it for decor ideas! 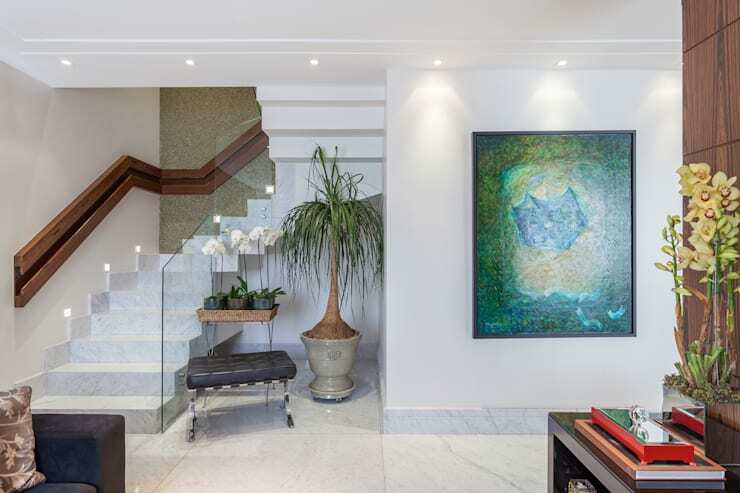 The stairs and hallway of this house certainly don't lack illumination and a welcoming atmosphere. The all-white walls ensure that the space remains trendy and tasteful, while the gorgeous artwork and greenery is another cosy design aspect. The apartment is anything but compact and cramped and we cannot wait to see the rest of it. The living room is comfortable and spacious, with natural light bathing the space throughout the day. The neutral colour scheme of the furniture and wooden accent wall adds an interesting decor, while the textured scatter cushions offer a simple yet charming detail of comfort and warmth. The dining room of this apartment is supremely elegant with rustic-inspired decor. 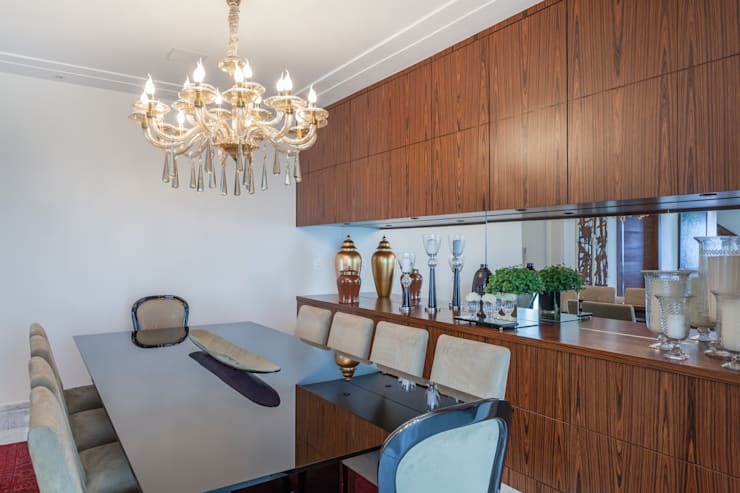 The glass table and spectacular chandelier enhances the sleek decor of the home, while the minimalist wooden cabinet allows for storage of all expensive crockery and silverware. This keeps the items safe, whilst ensuring the dining area is free from clutter. The table is large too, so planning that dinner party over the festive season will be an easy task. A bedroom is a comfortable space in which to escape the woes of work after a long day, which is why a bed needs to be the ultimate spot for relaxation. 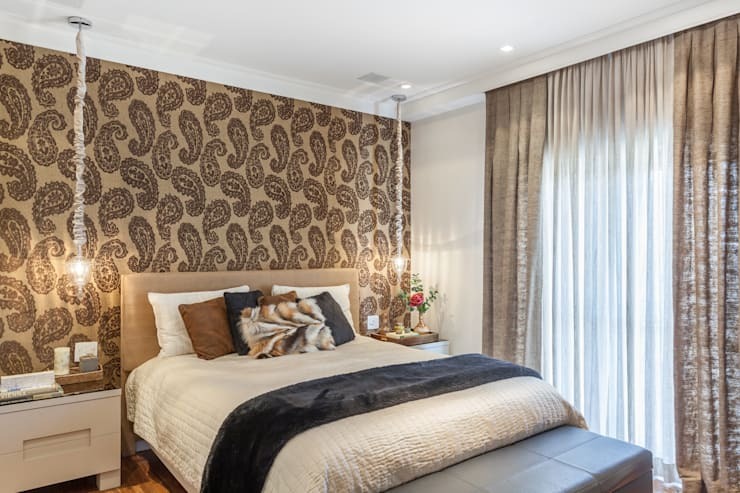 The neutral decor of this bedroom, along with the fascinating wallpaper, will help you drift off to sleep after a long day at work. And with lighting this brilliant, you may opt to catch up on your reading before getting ready for bed. 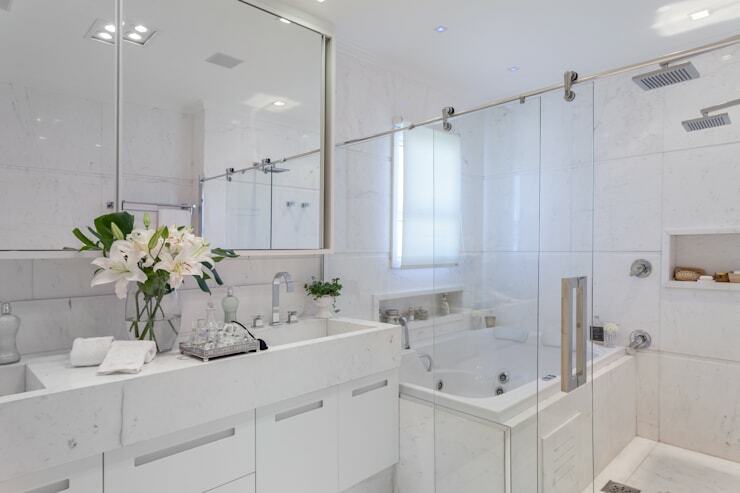 An all-white bathroom design is the epitome of chic and has a classy atmosphere of tranquility that will remain stylish for many years. Glass doors enhance the spacious feel of this hotel-like bathroom, while fresh flowers keep the room looking, feeling and smelling revitalised and friendly. 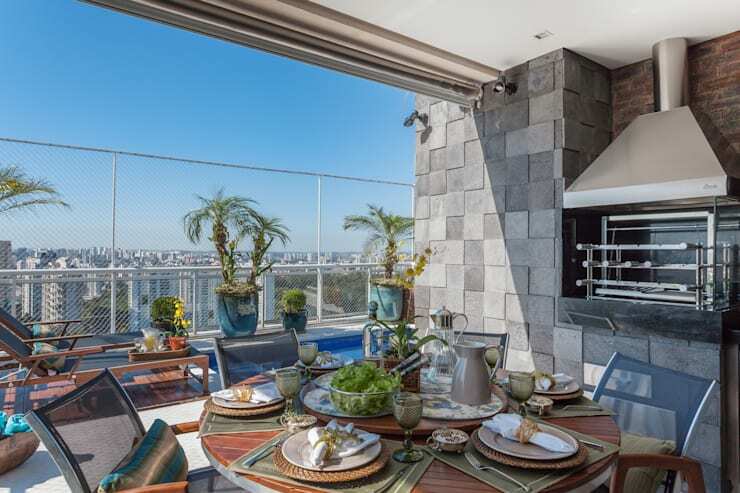 We said that this home welcomes socialising and entertainment, and a look at the terrace with its city views is the perfect way to end this feature! The outdoor dining area is just sensational, and with the undercover barbecue you'll have no excuse not to fire up that grill any time of the year. If you look closely you'll notice the apartment even includes a wonderful swimming pool… a must-have for those spectacular summer days in the sun. Keen for some more outdoor living ideas? We have 8 compact courtyards perfect for Asian homes for you to enjoy! What did you think about the amazing terrace?